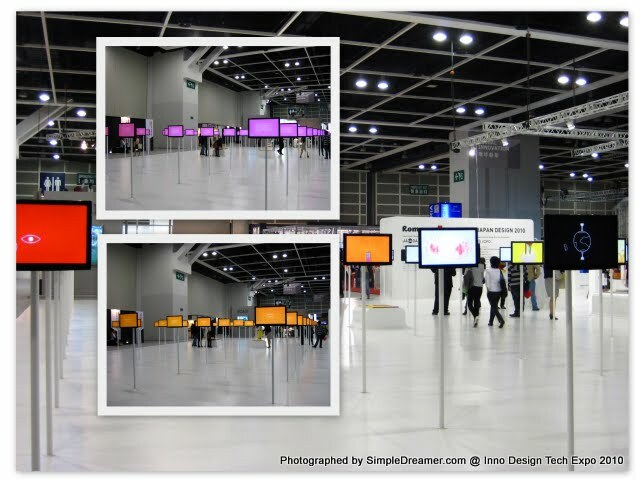 The Japanese designers chose to populate a significant size of their show area with an LCD TV farm. All the TVs were placed at eye-level of an average adult, playing all sorts of demo clips. As you can see from yesterday's post, the Japanese innovators have carefully chose manikins made of metal strips to present their products in a lively and yet professional way. It was my pleasure to be a visitor of such World Class expo.